The struggle of being vegan during the holidays is real — especially if you haven’t said no to all animal products your entire life and some of your family still eats meat, dairy and eggs. The smells of Thanksgiving wafting down the halls are super-nostalgic and conjure up memories of eating (and laughing) ’til it hurt as a child, making you miss those good ol’-fashioned foods — if even just a little bit. But luckily, it’s 2017, and the internet has brought the vegan community together in a very real way to swap recipes that are so delicious, even non-vegan family members will want some. 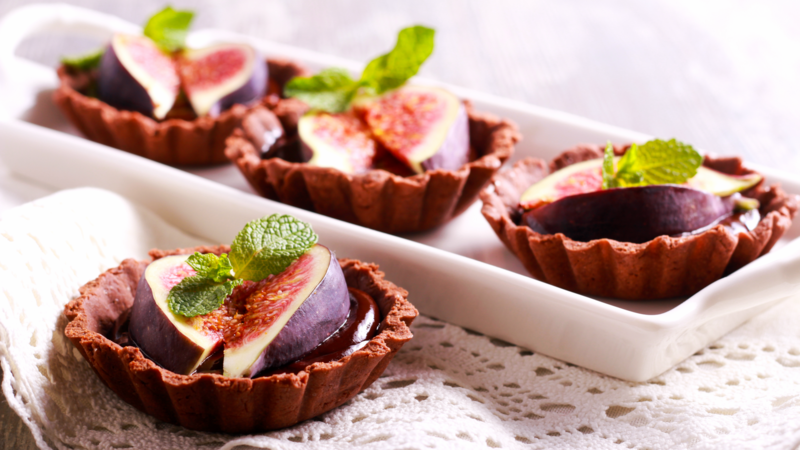 After you eat your holiday breakfast, move on to your turkey-alternative main course and gobble down some cruelty-free sides, you’re gonna be more than ready for some vegan desserts that are so good, you won’t want to share. From pumpkin chocolate mousse pie to sweet potato-pecan pie doughnuts we’ve got a dessert for every kind of sweet tooth on this list. 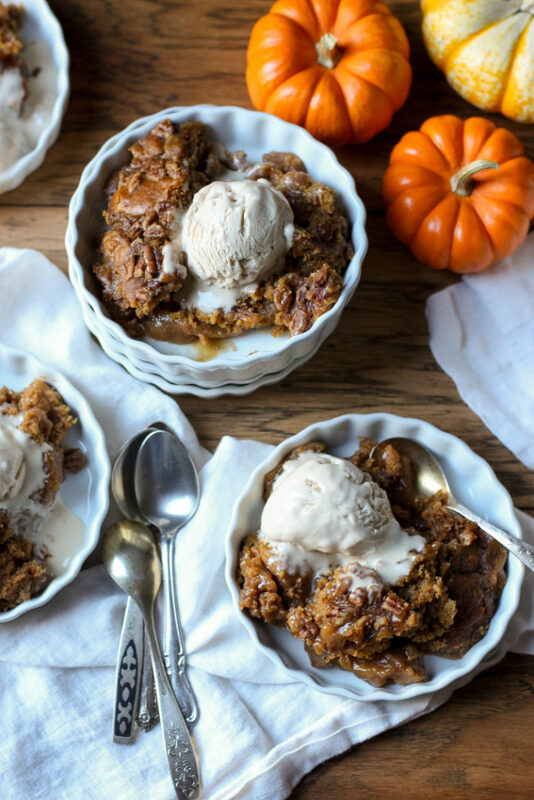 Saucy and decadent, this vegan pumpkin pecan cobbler cake is everything a holiday dessert should be. 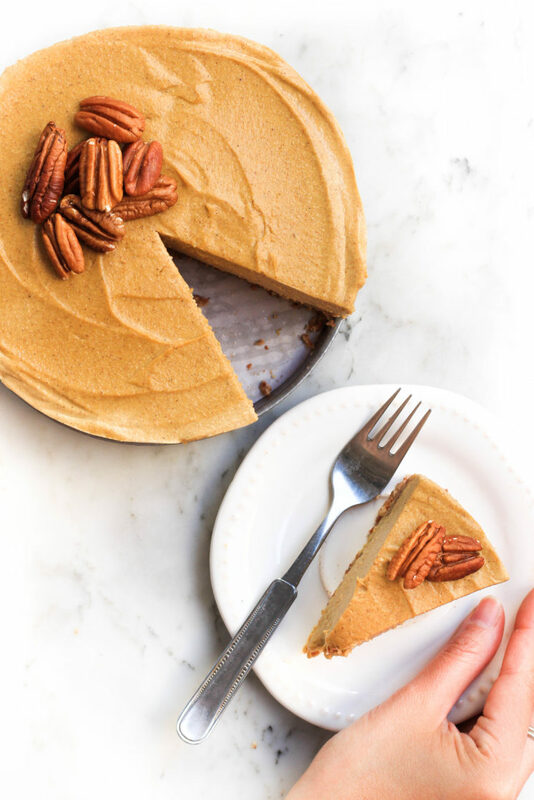 You’ll devour every last crumb of this vegan pie, from the chocolate pecan crust to the pumpkin mousse filling. 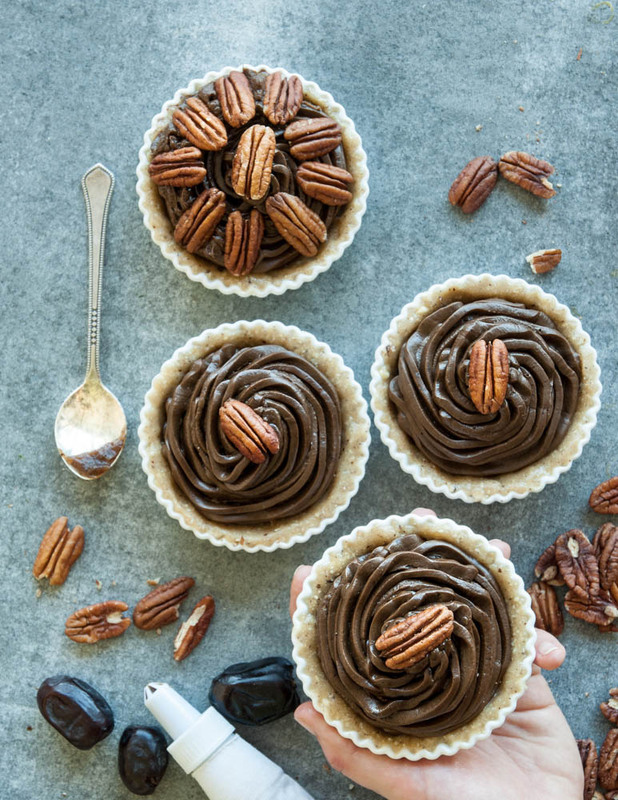 Filled with chocolate avocado cream, these raw pecan chocolate tarts are a feel-good Thanksgiving dessert. 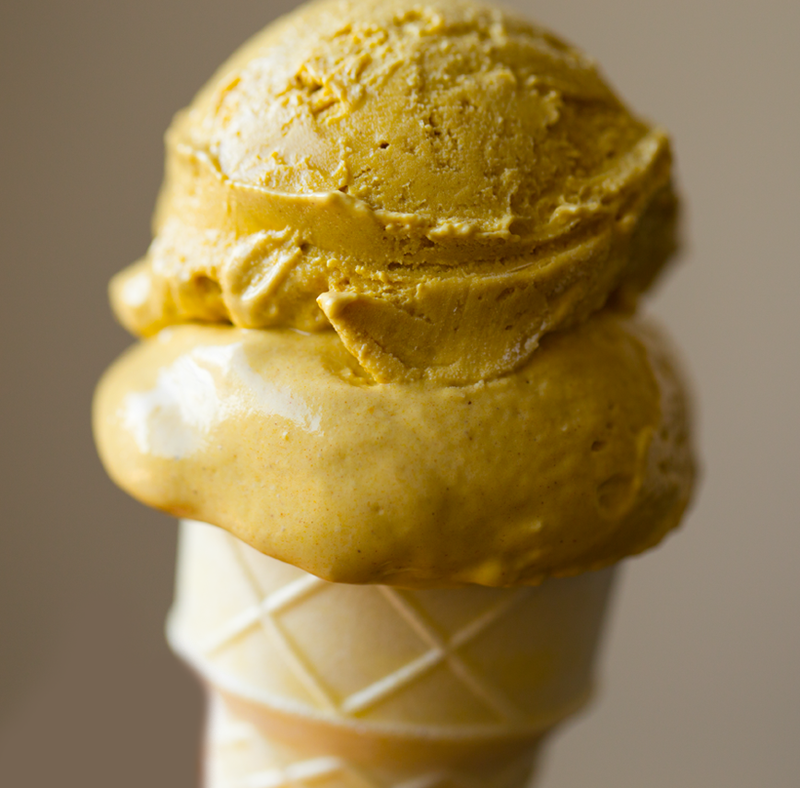 Cashew-based pumpkin ice cream is the frozen vegan treat that should top all of your pies. 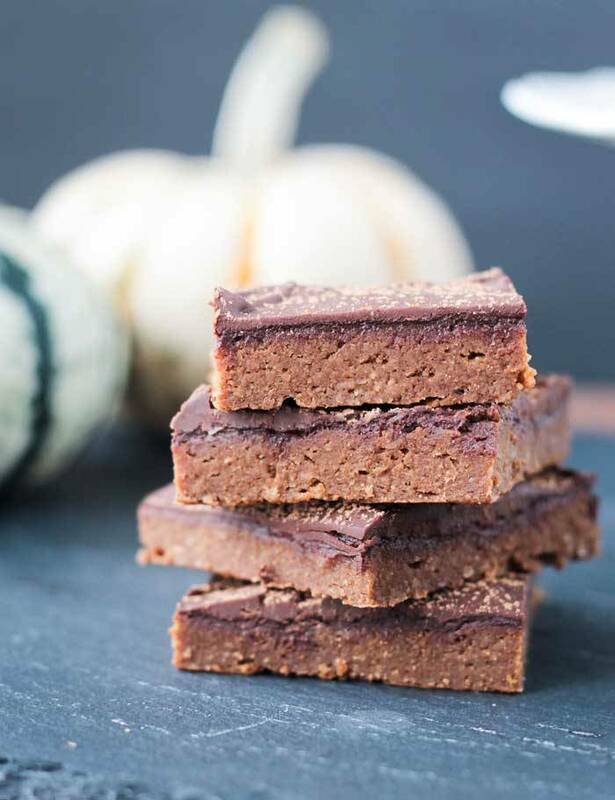 Moist and chewy vegan pumpkin fudge brownies are the perfect way to end your Thanksgiving meal. 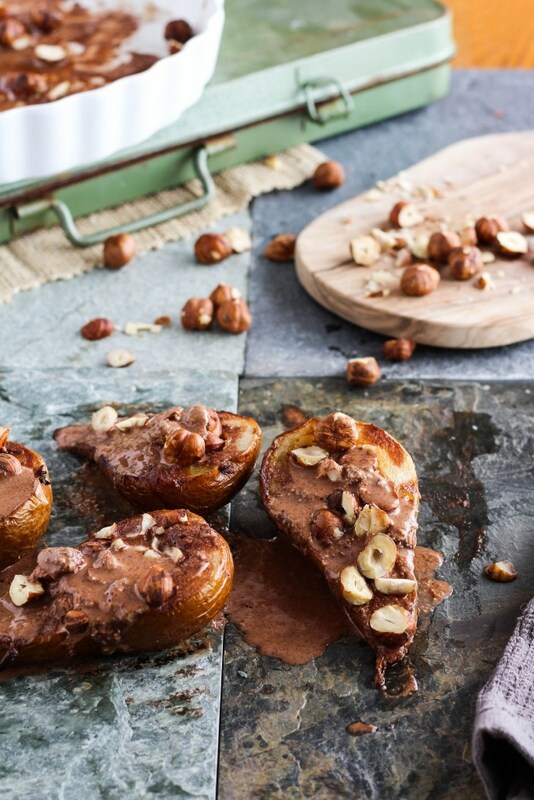 Roasted pears drizzled with a dark chocolate hazelnut sauce are a scrumptious end to Thanksgiving. 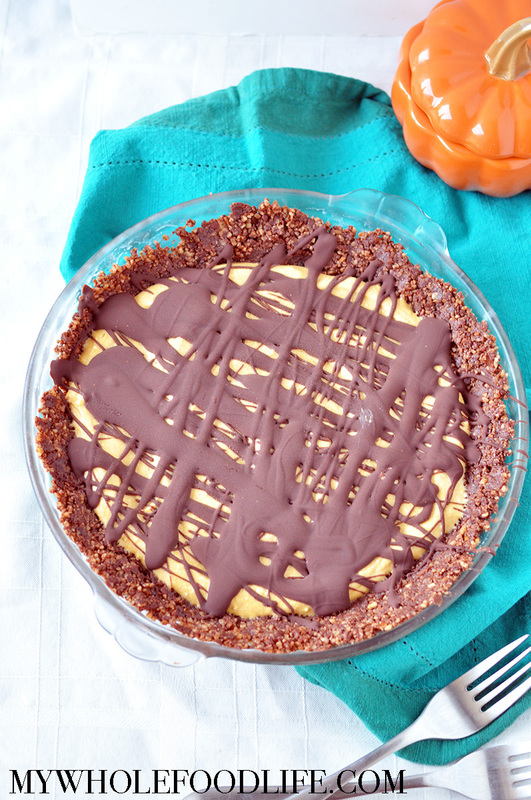 Gluten-free and vegan, no one will be able to resist this decadent pumpkin cheesecake. 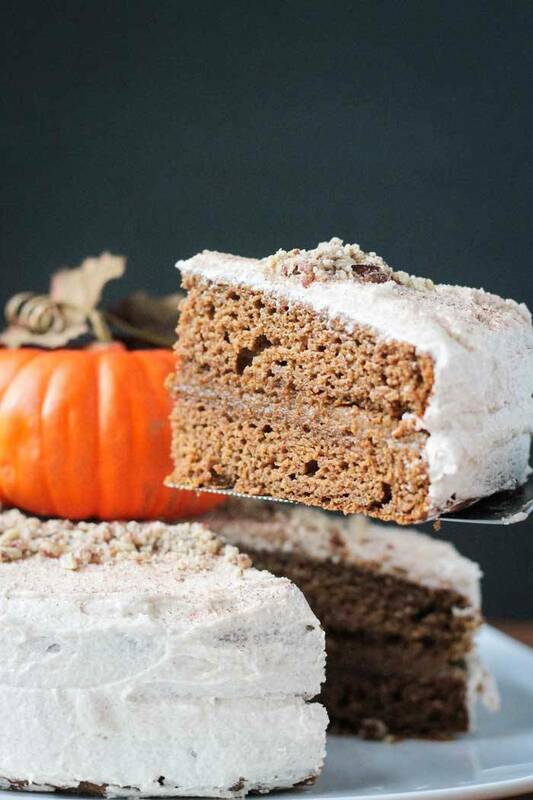 Chai-spiced pumpkin cake filled with a cashew pumpkin cream is a truly decadent Thanksgiving dessert. 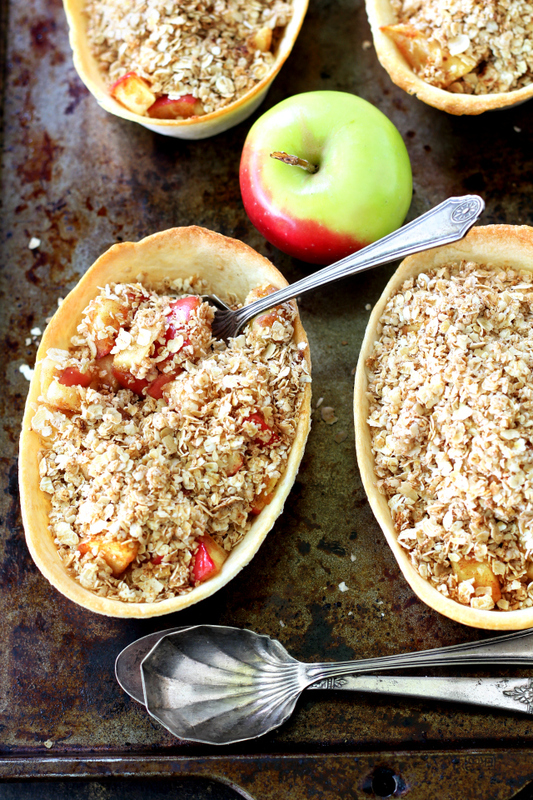 Give each Thanksgiving guest their own taste of paradise with these vegan apple crumble bowls. 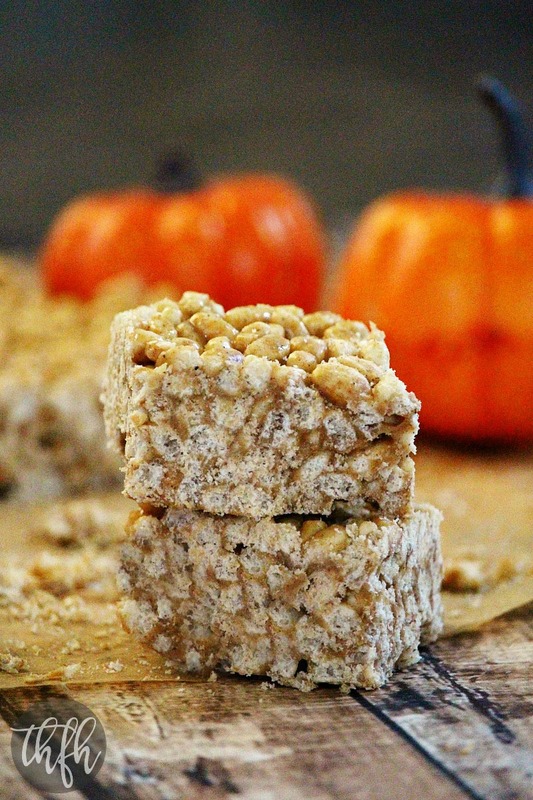 Chewy, crispy and full of fall flavor, kids will love these fun vegan Thanksgiving treats. 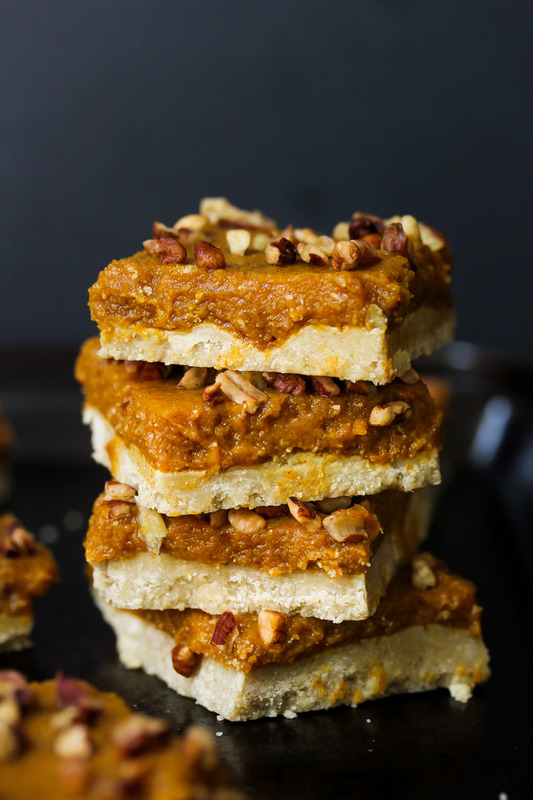 A date-sweetened pumpkin filling in an oat and cashew crust make this raw vegan treat worth serving. 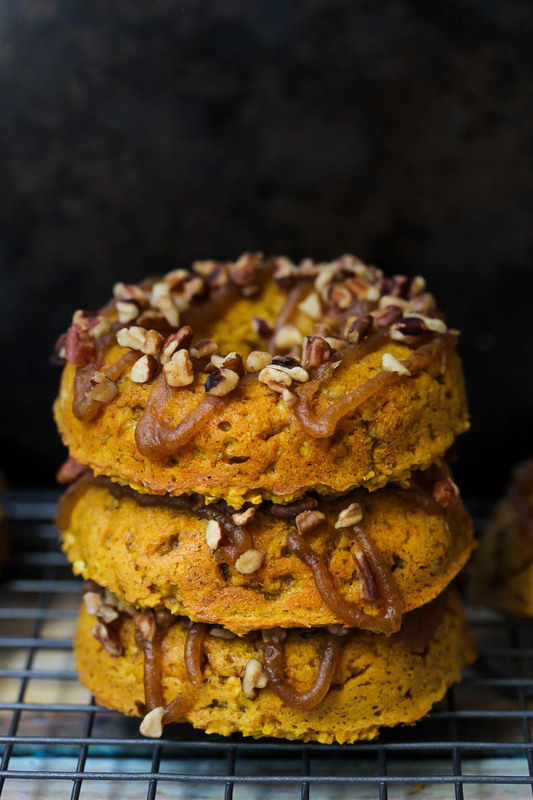 For dessert or with coffee the next morning, these vegan sweet potato-pecan pie doughnuts can’t be beat. 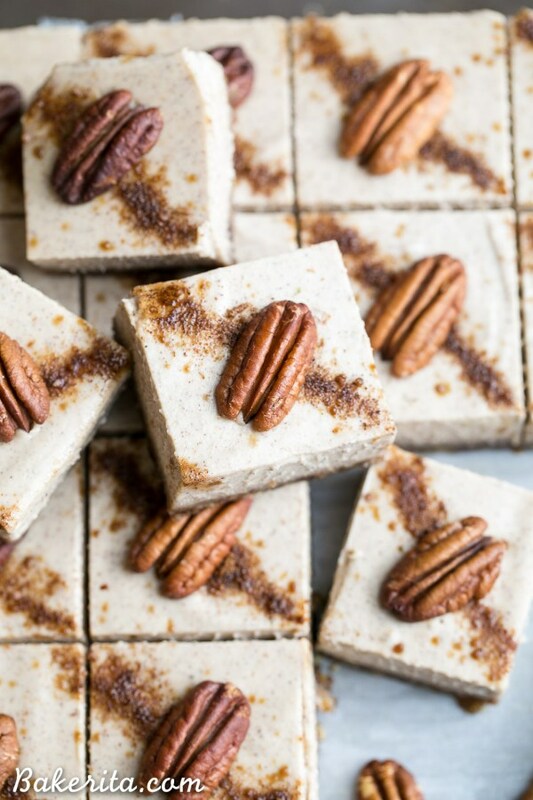 Creamy vegan chai cheesecake bars are the ideal post-feast treat, especially with a warm cup of tea. 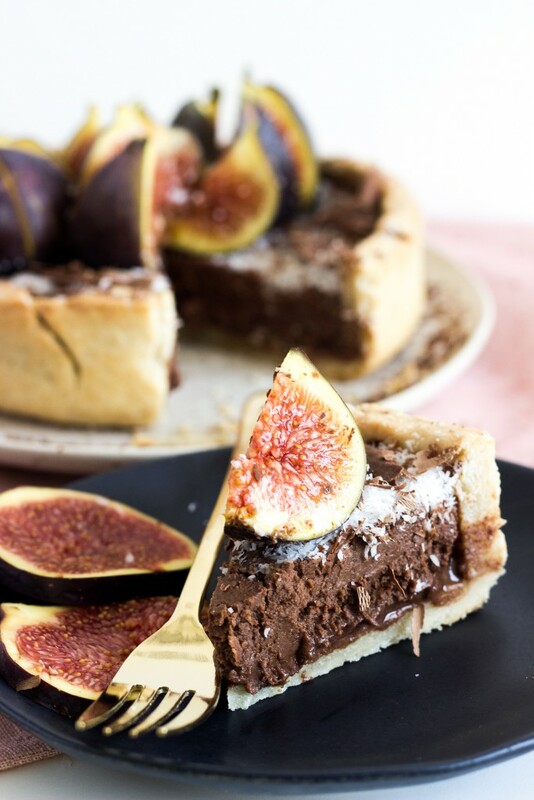 This silky vegan chocolate tart is embellished with figs to make the perfect special-occasion dessert. 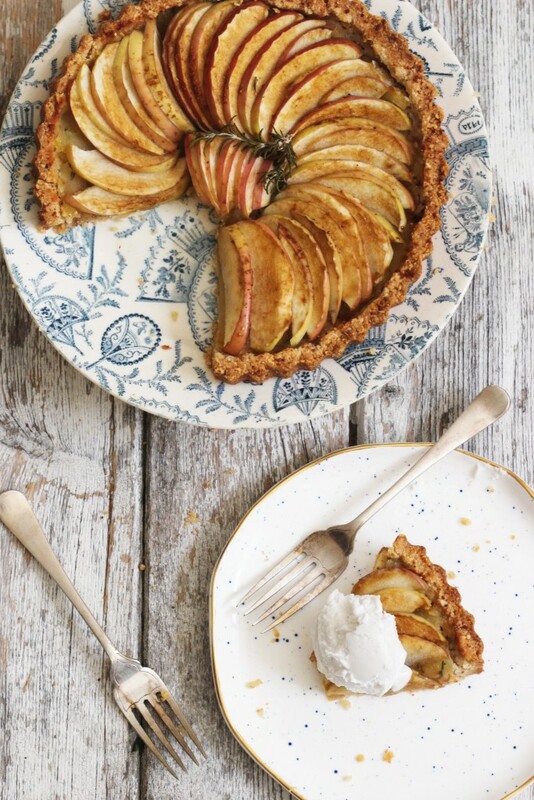 Served with a glass of bubbly, this elegant vegan apple-rosemary tart is a Thanksgiving masterpiece. 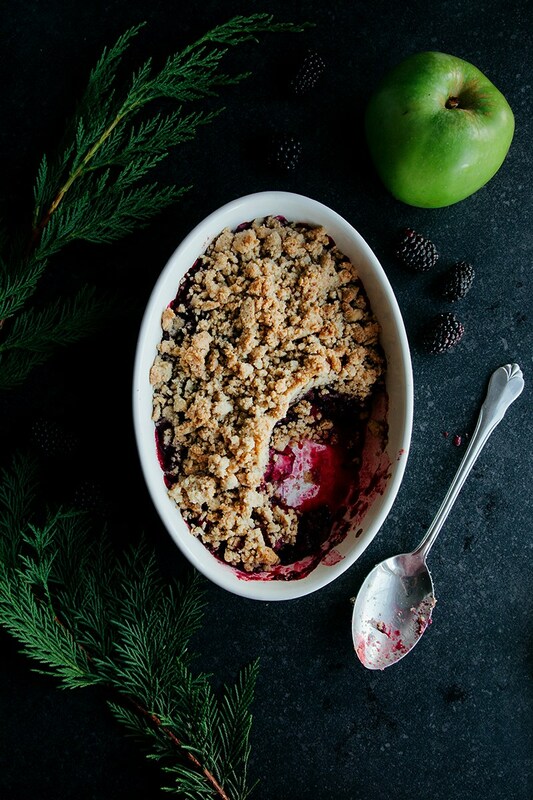 Full of fruit but deeply satisfying, your guests will gobble up every bite of this vegan crumble. 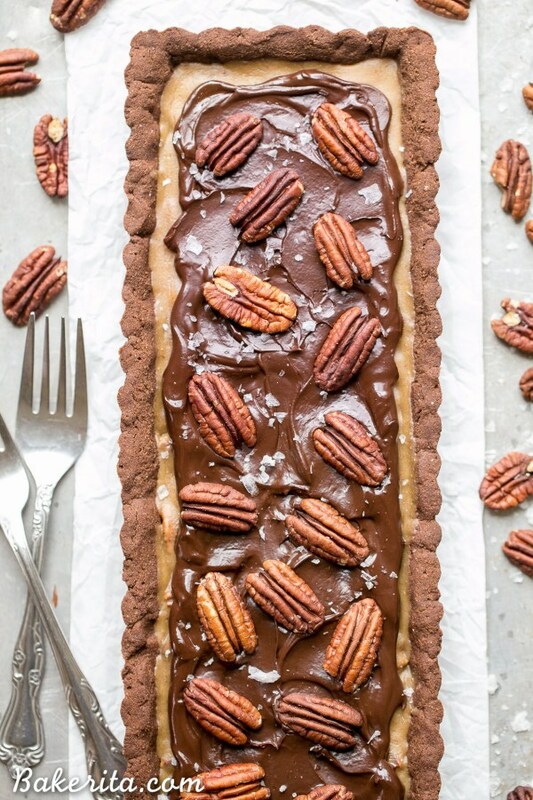 A chocolate shortbread crust filled with caramel, chocolate and pecans make a vegan tart to die for. 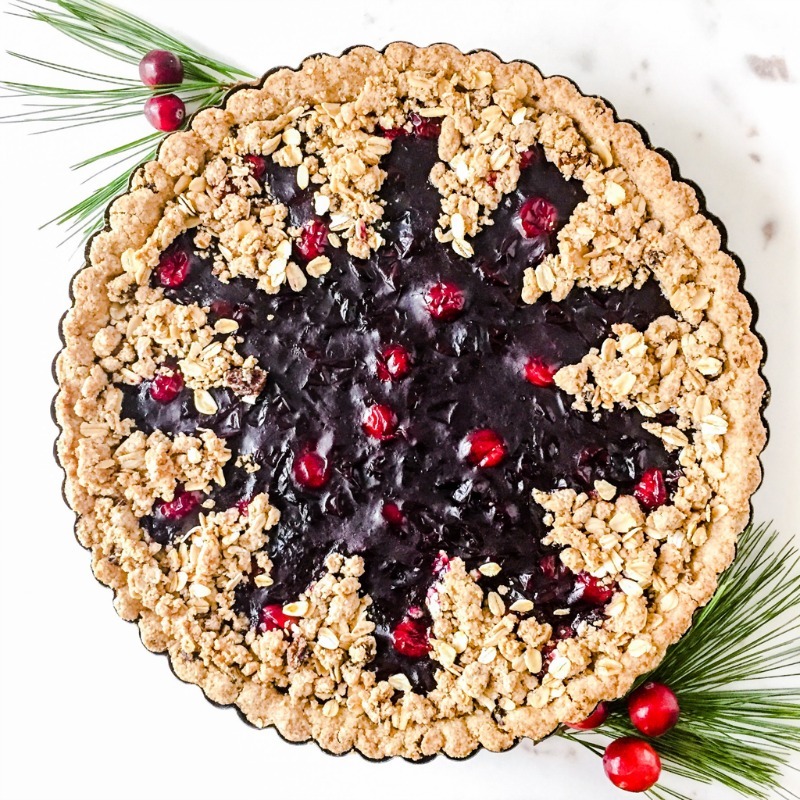 Tart and sweet and chock-full of antioxidant goodness, this vegan cranberry-grape crisp is a must-try. 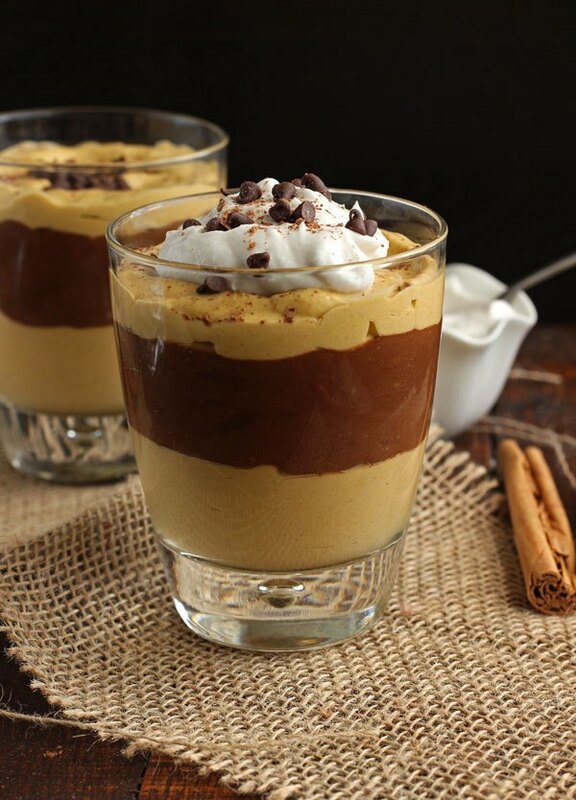 Creamy pumpkin and bittersweet chocolate combine in this decadent vegan Thanksgiving dessert. 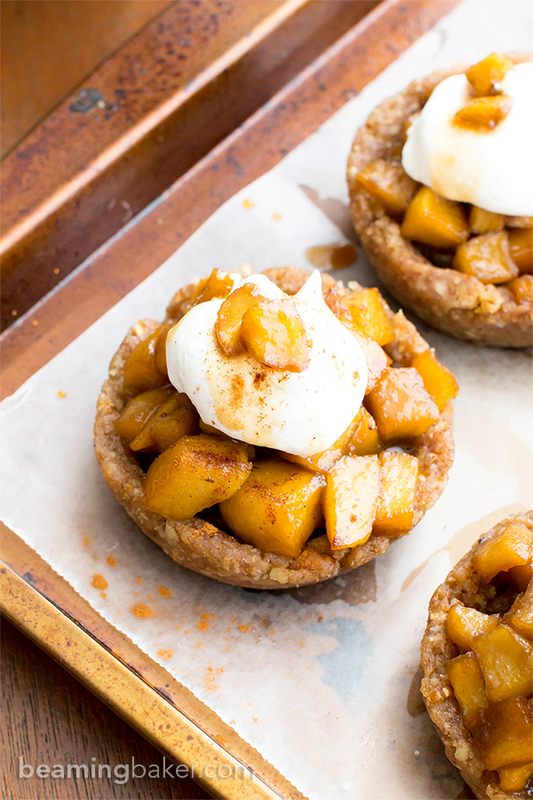 These vegan caramel apple tartlets are Thanksgiving dessert made easy thanks to a no-bake date and oat crust.